Ability: All abilities welcome, from new bodyboarders to experienced shredders. With the festive period firmly behind us, it’s now time to start shedding those extra pounds and getting back on the boogie. So join us this February, on what is set to be our best bodyboard coaching weekend to date! Why? 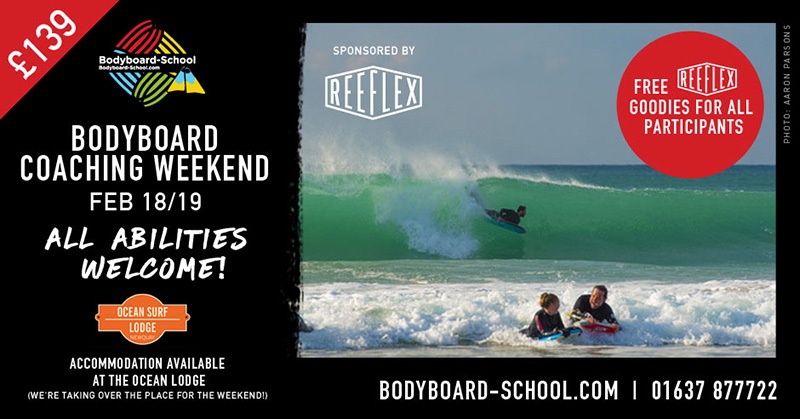 …Well, we’re excited to announce that for this years’ 48 hours of bodyboard immersion we’re teaming up with Reeflex Wetsuits – a bodyboarding wetsuit brand run by bodyboarders, for bodyboarders. Like us, Reeflex (owned by the legendary Ryan Hardy) is committed to investing in, and supporting our sport – what in recent years has been vastly overshadowed by the popularity of mainstream stand-up surfing brands that incidentally don’t put money back into bodyboarding. As a result the industry and subsequent world tour has really struggled. So, if bodyboarding is to survive, thrive and showcase to the world what an incredibly sick sport it really is, then its practitioners (you) need to support 100% bodyboard brands like Reeflex. At this years coaching weekend, you’ll not only massively improve your bodyboarding skills over the course of the two days (2 sessions with video & photo analysis), and under the guidance of our experienced instructors, but you’ll get the chance to meet Al Lawson, the director of Reeflex UK. He’ll talk you through the Reeflex range and give you the low-down of how these bodyboarder specific suits will aid your riding and why the suits have become so popular with top international riders such as Amaury Lavernhe, Jared Houston, Davis Blackwell, Jacob Romero, Iain Campbell and Lachlan Cramsie. What’s more, Mr Lawson has kindly offered to issue every client with a Reflex goody bag to take away. The weekend takes place on the 18th/19th of February; statistically the best week for waves in Cornwall. We invite our guests to stay at the Ocean Lodge, which we’ll be taking over for the weekend, as it makes the perfect place to meet like-minded wave riders. So, if you’re looking to improve your bodyboarding, meet like-minded wave slaves and walk away with a bounty of Reeflex gear, then get in touch with Rob at robbarber.com/coaching-weekends ASAP. Newquay bodyboard coaching weekend – All systems go! 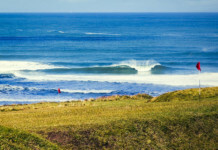 May Bodyboard Coaching Weekend – Let summer commence!